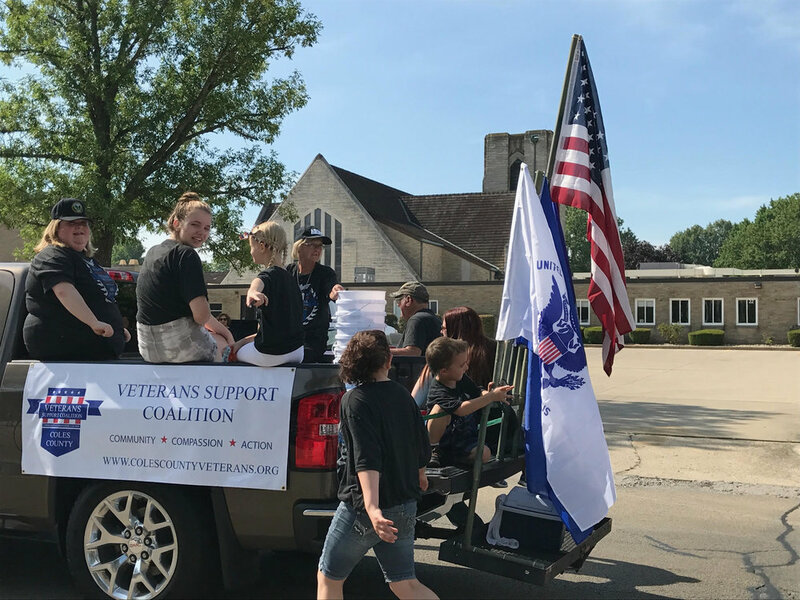 We are proud to announce the formulation of the Coles County Veterans Support Coalition. 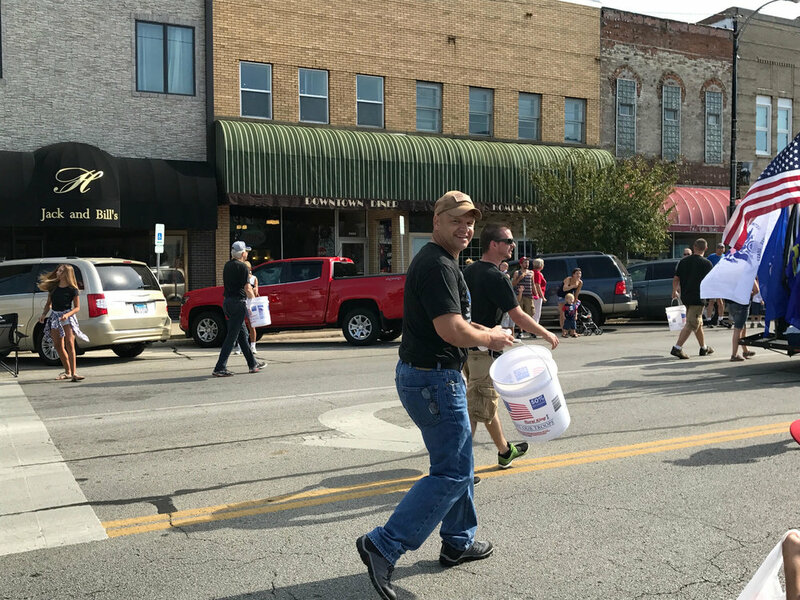 This organization is in the early phases of development with a projected launch as a 501 c 3 for November 11, 2017. In our efforts to promote our services, a website and Facebook page went live on July 4, 2017. 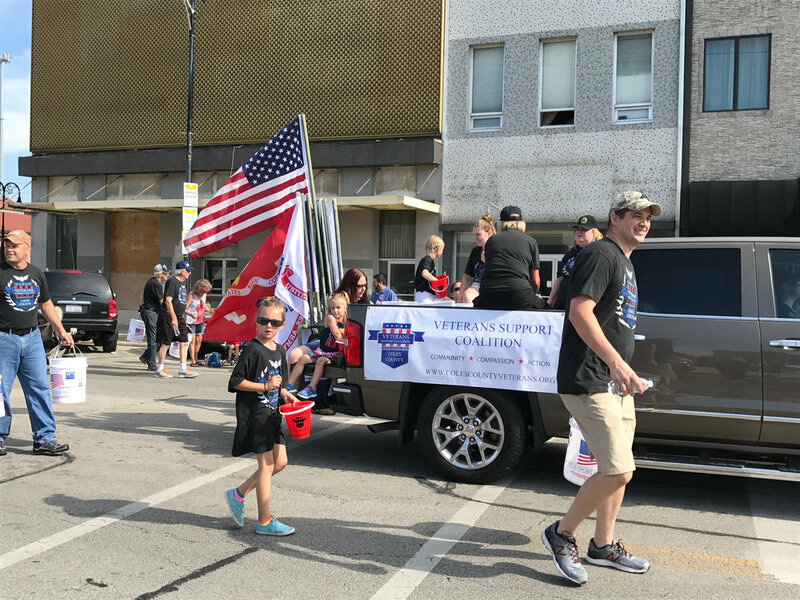 In addition to our online presence, we marched in the Mattoon and Charleston 4th of July parades. 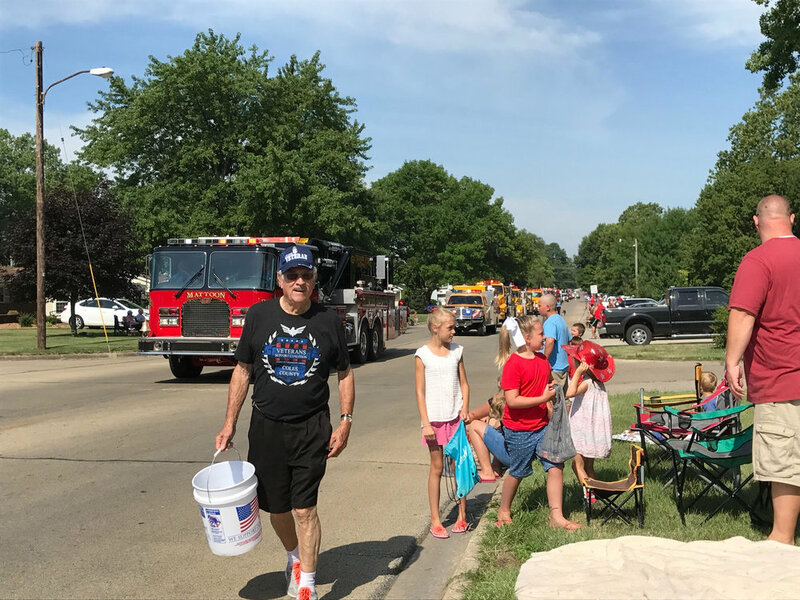 The board of directors, accompanied by their families, handed out candy to the onlookers, and served 1,000 bottles of water (500 bottles of water was donated by Rural King) along the parade routes. The board of directors include Justin Bawcum, Mark Cartright, Richard Fields, Sam Guyette, Connie Jones, Kari Jones and Blake Leitch. 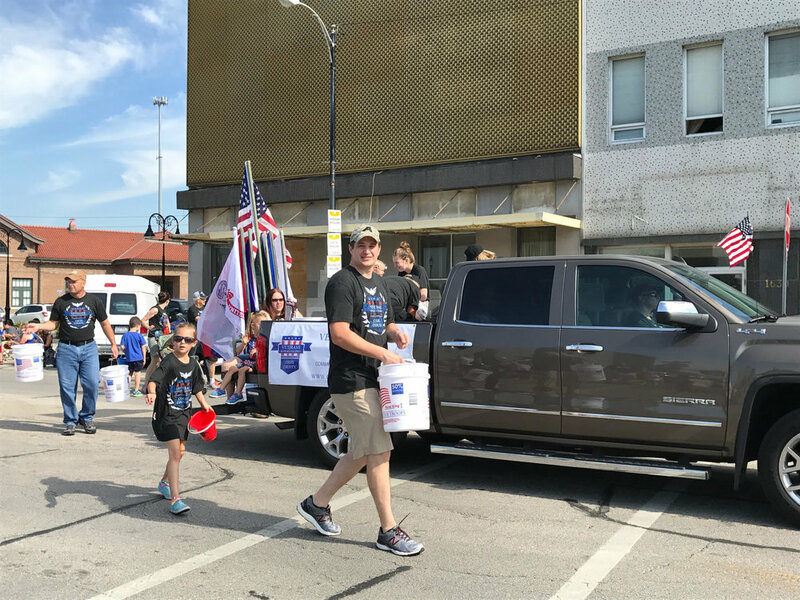 We would like to thank veterans Bob Bond and Bob Matthews for assisting us with the parade. Thanks is also extended to KC Summers for allowing us to use the beautiful truck!